Jordin Sparks returns with her sophomore album, Battlefield, in stores tomorrow. Jordin is an alumna of the 'American Idol' grind, during one it's better years in my opinion (Season 6 - also bringing us Blake Lewis, Chris Richardson, Melinda Doolittle -- case in point). While I'd admit to rooting for the three above (usually more than Jordin), in the end, I was glad she won -- because in terms of voice, persona and likeability (and the odds of selling in mass quanities), there is no question Jordin was it for her year. Girlfriend can deliver on those pipes (after she performed "I Who Have Nothing", I was hooked), and after seeing her live on the AI tour those few years ago, I was truly struck by how big her voice really is, and yet it feels so effortless. With Battlefield, Jordin attempts to continue prove her worth, yet stay percievable as the young'in she is -- even I tend to forget the fact that she is 19 years old! And I'm here to tell you, the record is well worthy the money. The set opens with the mid-tempo "Walking On Snow", which leaked a few weeks ago, a product of Lucas, who wrote the epic Pussycat Dolls song "I Hate This Part." This is a more upbeat version of the PCD track, as Jordin's vocals help convey that ever-popular uptempo-ballad. The lyrics are gorgeous and sweeping. I definitely hear this being on the radio...it's the type of thing Kristinia DeBarge probably salivated over but ended up with that Varsity Fanclub "leftover". 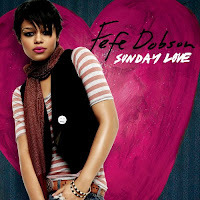 When I heard Jordin was covering one of my fave Fefe Dobson (ahh, my dear FeFe!) tracks ("Don't Let It Go To Your Head"), I'll admit to being a bit worried. I do commend Jordin for picking a rather "obscure" song to cover from a reputable artist (and even coping to it and giving props to Ms. Dobson in several interviews). What I do like is she definitely made the song her own -- it does NOT sound like a carbon copy of Fefe's original. It sounds very fresh and almost "Battlefield" like (complete swishy backgrounds and a new bridge). It also helps that Jordin and Fefe have very different styles, both performance-wise and vocally. It's almost hard to compare the two versions, so for that, I must say bravo, Ms. Sparks. It teeters on being as epic as the album's first single, but holds back, so I will go on the record saying I prefer Fefe's version by quite a bit. But it's not a bad cover in the slightest. "It Takes More" is the first snag of the record for me. While the production lacks wow factor, the lyrics are quite deep, and are sung with passion. It's the lyrics themselves that make me swell with pride that there is a girl like Jordin making contemporary, mainstream music -- they make a positive statement without seeming preachy. Thumbs up and snaps for trying. But unfortunately, while the song is pretty, it's not instantly memorable. "Watch You Go" is a Dr. Luke and T-Pain collabo, and that fact alone had me itching to hear it. They seem like a weird pairing for me (anyone else?) but the end result is a head-nodding little ditty that leads up to the chorus with swirling, orchestral intensity. Again, not super memorable, but a worthy effort. The key changes in "No Parade" make it start to be written off as a slower, more piano-driven Beyonce's "Halo" within the first 30 seconds. As the song continues, the comparison is quite striking, and leaves me a little nonplussed (even though I find "Halo" quite overplayed at this point), especially since Jordin decides to play it a bit more reserved than the vocally in-your-face Beyonce version. This disc is quite heavy with Toby Gad production, which makes me smile, as Mr. Gad seems to be quite underrused (at the moment) and underrated. "Let It Rain" opens with church organs, that immediately grab your attention. When the beat kicks in, it brings you back to an old gospel feel. Then the electric guitar kicks in, and Jordin's voice swells to that "No Air" level. It has everything (literally) but isn't overwhelming (complete with Jordin's emotional gasping and semi-sobbing?). Single, please! In fact, if it doesn't become one, I will need to become Jordin's A&R woman. If you thought "Battlefield" was epic, "Let It Rain" is mammoth. "Emergency (911)" is another Toby Gad effort, that also leaked a few weeks ago. It starts up generic but her vocals are superb. The verses are semi-cliche with almost comical detail, but the chorus is catchy as hell. Best part? "All dressed up and nowhere to go-oh." It's not as instantly radio-friendly as "S.O.S. (Let the Music Play)" but it comes in a worthy second in a set of mostly mid-tempos. Jordin lends her writing talents to "Was I the Only One" and her voice sounds so raw and her talent jumps right out of your earphones and into your brain. She really could have hit you over the head, but didn't -- she played it cool, and kept that big voice of hers in check. It reminds me BIG TIME of vintage Mariah, especially like some of the ballads of the 'Butterfly' era. Of all the ballads on this set to be released this winter, this should be it. The final Toby Gad collabo of the set, "Faith" is a stunner based on lyrics alone. Empowering? Check. Beautiful? Check. Inspiring? Check. Amazing? You betcha. The set closes out with "The Cure", a product of Mr. Claude Kelly (who did Britney's "Circus"). Comparison's to Leona's "Better In Time" (and Beyonce's "Halo" again -- especially after the choruses) will probably be inevitable, but are ill-suited. As the chorus kicks in, it fits into that familiar Jordin formula (although, during the first chorus, she gets a bit drowned out). It really sounds like the big ballad at the end of a movie that rolls during the credits, which is a suitable way to end an album, don't you think? Overall, this is a very worthy effort from Ms. Jordin, and if marketed the right way, could truely be her Breakaway to help her trancend from "American Idol" Winner to reputable popstar. The majority of the set is quite good, with only a handful of missteps -- and even those aren't too bad. i think there are some fine tracks on here that could make a dent in the singles charts. Once again i'm left slightly perturbed that she can't quite make an entire great album, but it's certainly quite enjoyable.